Obi-Wan Kenobi is rightfully considered one of the greatest characters in cinematic history. Unsurprisingly, most characters in Star Wars like him, apart from a Dark Side-flirting Anakin Skywalker, of course. Oh yeah, and Uncle Owen. Despite being one of the most fearless and infinitely wise Jedi in the galaxy, Owen never saw eye-to-eye with him. In Star Wars Episode IV: A New Hope, Luke Skywalker’s uncle seemed to have a profound disdain for him. He described him as a “crazy old man,” for instance. 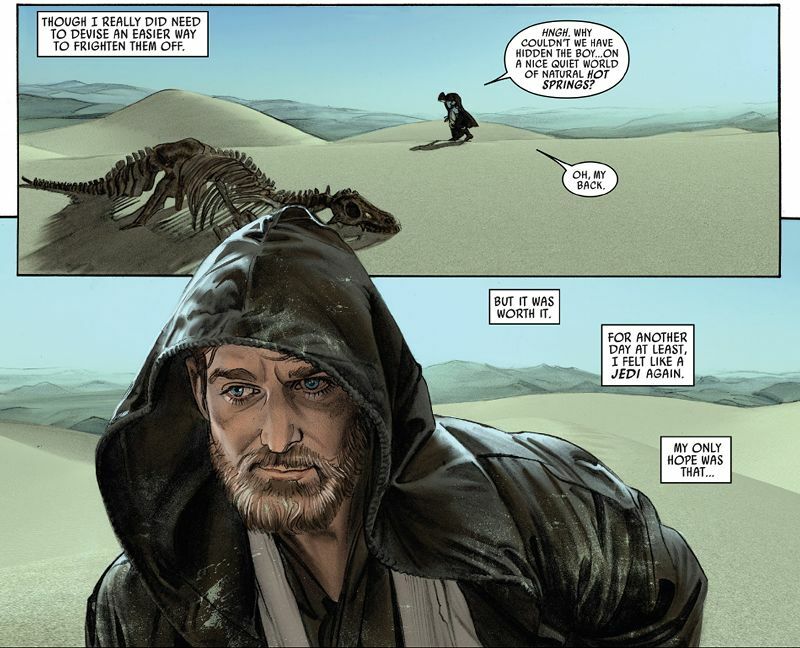 While it’s difficult to comprehend why Owen would hold such a low estimation of Obi-Wan, it turns out he had a very good reason. 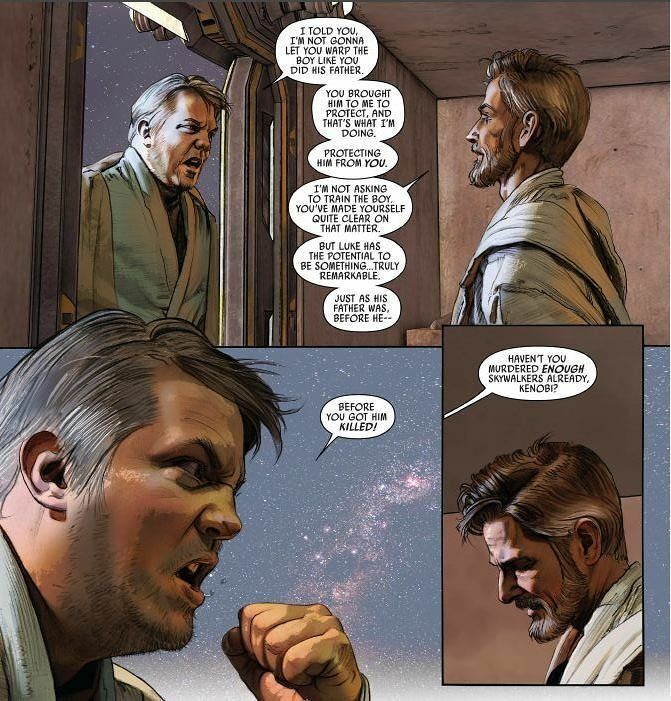 Jason Aaron, Mike Mayhew, and Chris Eliopoulos’s (distinctly excellent) Star Wars comic book, #15, has offered us the chance to see a middle-aged Obi-Wan watching over and protecting the young Luke Skywalker on Tatooine once again. 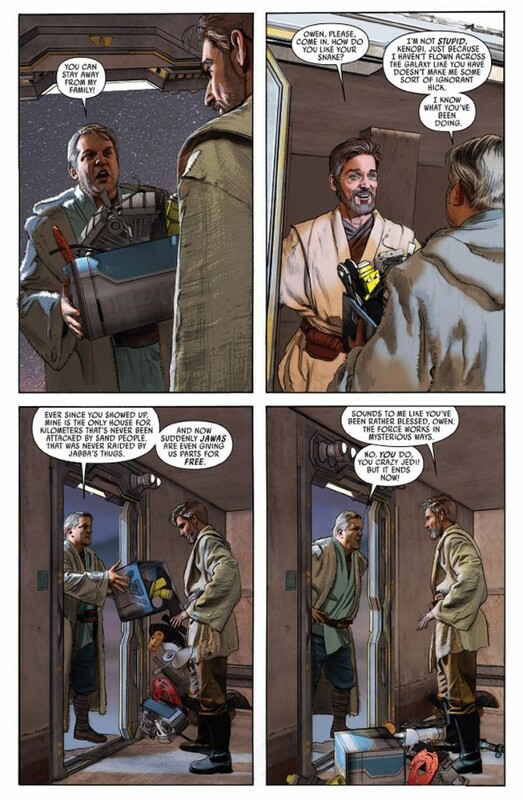 While the strip initially seems to reveal that Owen is ungrateful for Obi-Wan’s help and kindness, calling him a “crazy Jedi,” it gradually reveals something different – and hugely important. 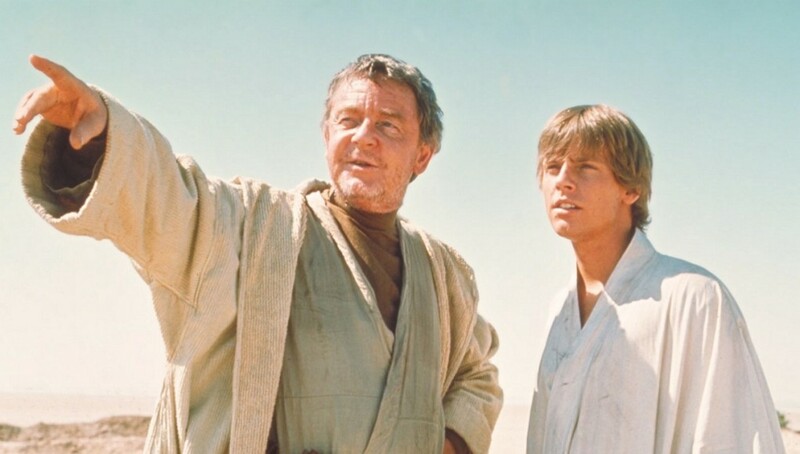 From where Obi-Wan is standing, he’s simply trying to protect Luke and helping him achieve his potential to do something ‘remarkable,’ Owen has a completely different perspective. 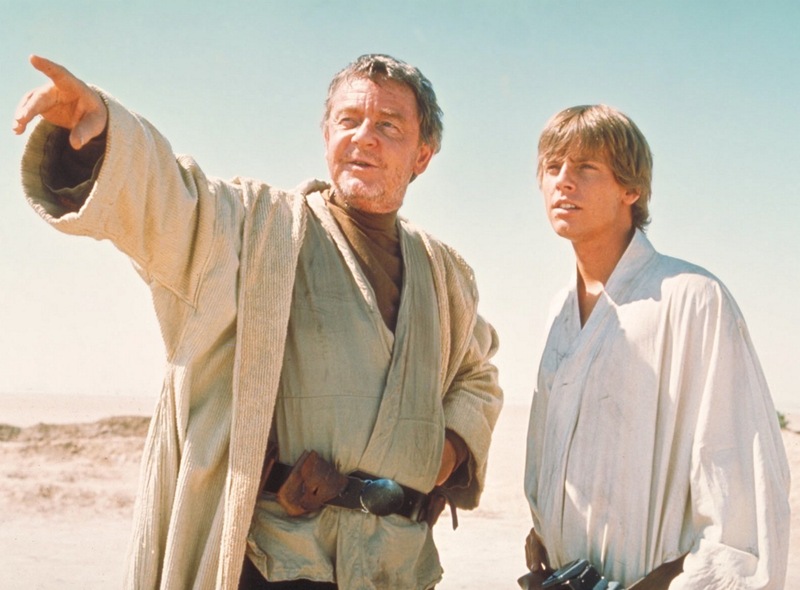 To him, Obi-Wan’s proximity to Luke is essentially drawing a giant target on the boy’s back – one which Owen clearly believes Obi-Wan also painted on Anakin’s. So, in other words: Owen hates Obi-Wan because the Jedi’s presence puts his nephew’s life at risk. It also makes a lot of sense, if you think about it. Obi-Wan may have honourable intentions for wanting to protect Luke, but it attracting the attention of the Empire. Owen, then – as A New Hope always hinted – is simply trying to watch out for his nephew by living a quiet, secluded life, far displaced from the clutches of the Empire. Viewed like this, Owen’s dislike for the indiscreet Obi-Wan is the sensible behaviour of a concerned family member. When thinking about this, Owen and Beru getting murdered in A New Hope is even more poignant and depressing. They were both genuinely trying to look out for the long-term safety of Luke, which was their main mission. This essentially makes them as much of a hero as any Jedi, like Obi-Wan. More than anything, it adds crucial context to the frosty relationship between Owen and Obi-Wan.